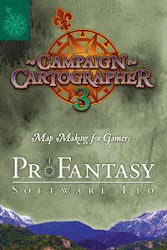 This will kick off the first in a series of reviews as I work through my own personal Appendix N. I'm no literary critic; I'll take a moment to say some things about the work itself, then move on to discuss it as an inspiration for gaming. 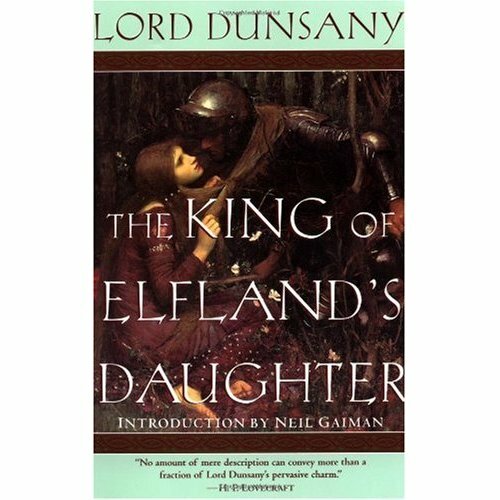 Dunsany is listed in the AD&D 1E DMG, and The King of Elfland's Daughter is called out by title in Moldvay's Basic Rulebook. The short novel starts with an introduction to a distinctly English setting; the parliament of a small land, the Land of Erl, desires to be ruled by a "magic lord" so that their small valley gains renown in the surrounding lands and earns a place in the history books; to that end, the lord bestows a quest on his heir - to find the mythic realm of Elfland and there seek to marry the Elf King's daughter. From the mixing of the mortal and magic realm emerges a story that seemed to me a classic fairy tale writ large. The story is written in a slightly archaic style (although published in the 1920's, it seems reminiscent of 19th century writing, to me) but the style is imbued with such poetry and lyricism, it's easy to get carried away by the charm of the prose. If you like literature, you'll enjoy Dunsany - I highly recommend this piece. I'll confess - at times I grow weary of the long shadow of Tolkien on gaming, and appreciate alternative imaginings of classic races when I encounter them. 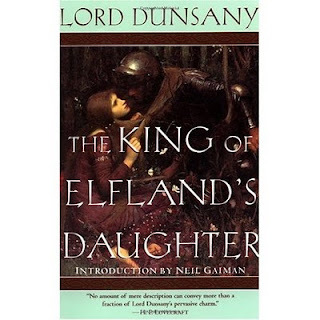 The elves of Dunsany live in a realm of faerie that's coterminous with our world, but the borders of the realm are capable of retreating at the will of the King of Elfland. Most mortals seem ignorant about how close Elfland lies; it's just over that nearby hill. Elfland itself is an eternal, unchanging place, where a single moment stretches for an eternity; much of the charm and vision in this story happens when creatures of the fairy realm slip into the mortal world and begin to experience Time and Change. And play tricks on people. 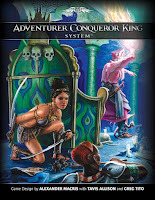 The story includes trolls (presented more as mischievous goblins than the trolls of D&D); there is unicorn hunting, the dangers of will-o-wisps and marshes, and the half-elf/changeling son of the Elf King's daughter - Orion - drawn to both worlds. 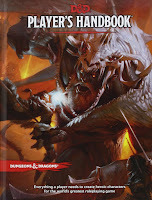 Other D&D-like elements include the forging of a magic sword, various quests, and consultation with witches and sages. One of my favorite touches, one which I'll develop in a later post on Law vs Chaos, is the relationship between Elfland, and magic, and the church of man; the Freer (the name given to the local priest) dispels the magic of Elfland with his candle and bells and holy words, and is content in a mundane world devoid of magic. Perhaps he was right in the end?